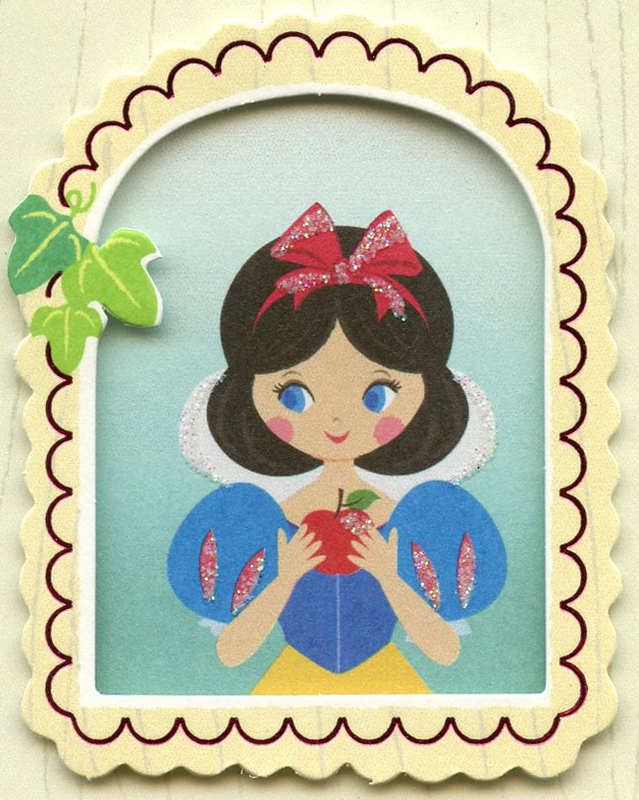 I came across this Snow White birthday card last month at Walgreens. 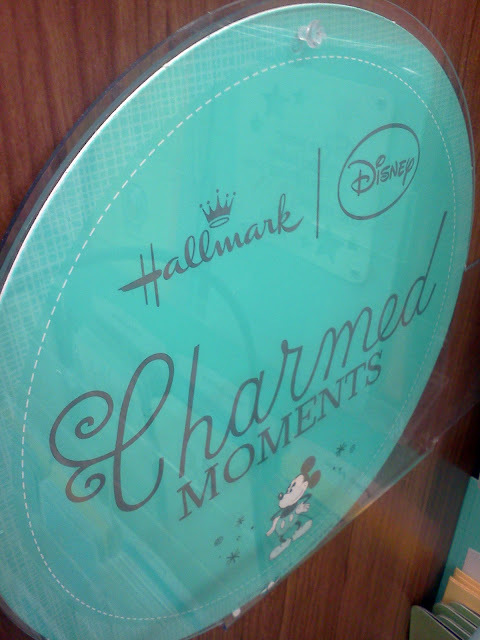 They had a section within their card isle called Hallmark/Disney Charmed Moments. The greeting cards featured the classic characters but re-envisioned in new stylized illustrations. 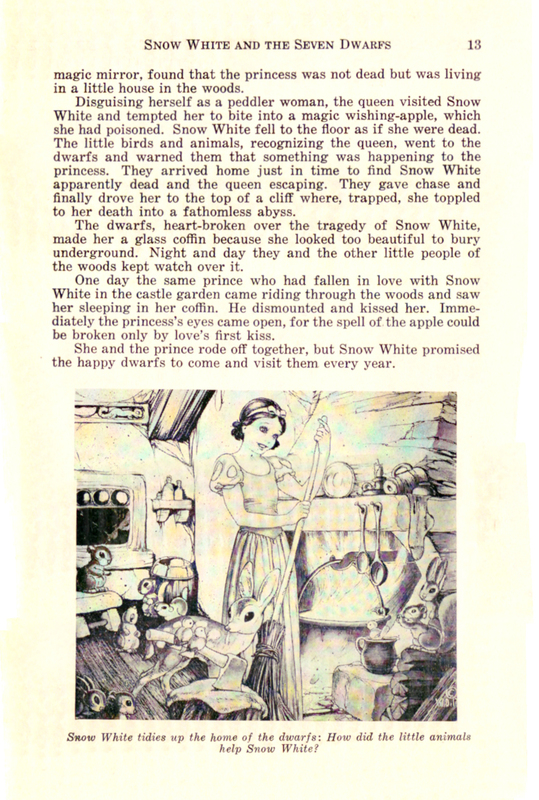 A glitter-highlighted Snow holds the apple as she looks out from a raised window frame. 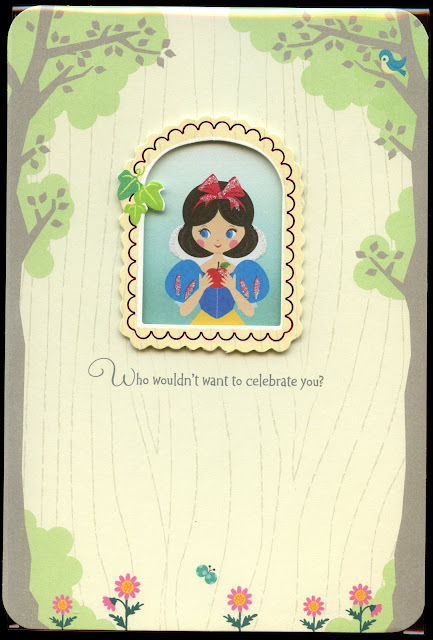 Text reads, "Who wouldn't want to celebrate you?" 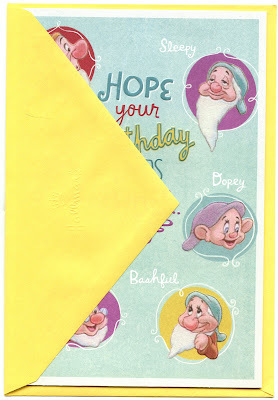 Three of the Dwarfs are pictured inside. 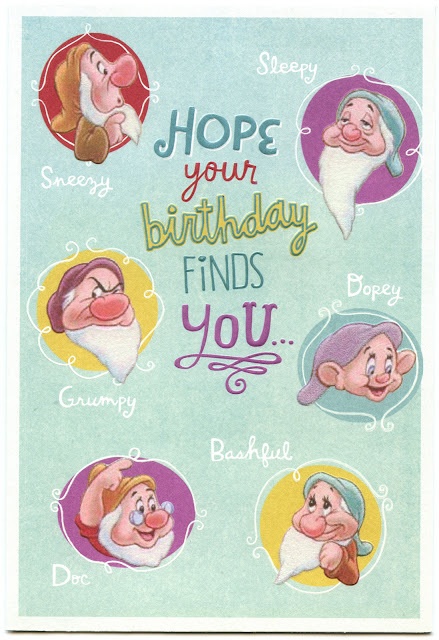 "You're the nicest person in the whole darn kingdom...Happy Birthday." 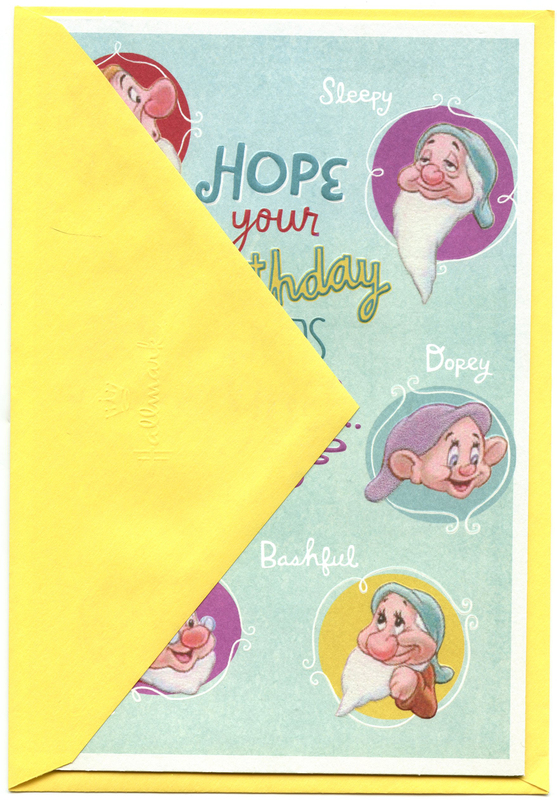 The card face came wrapped in a protective plastic cover. 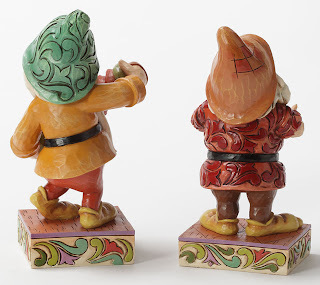 On the back side, we see Snow again with the remaining little men. "And fairest, too!" Retail price $3.69. Comes with sky blue envelope. Card design copyright Disney/Hallmark. 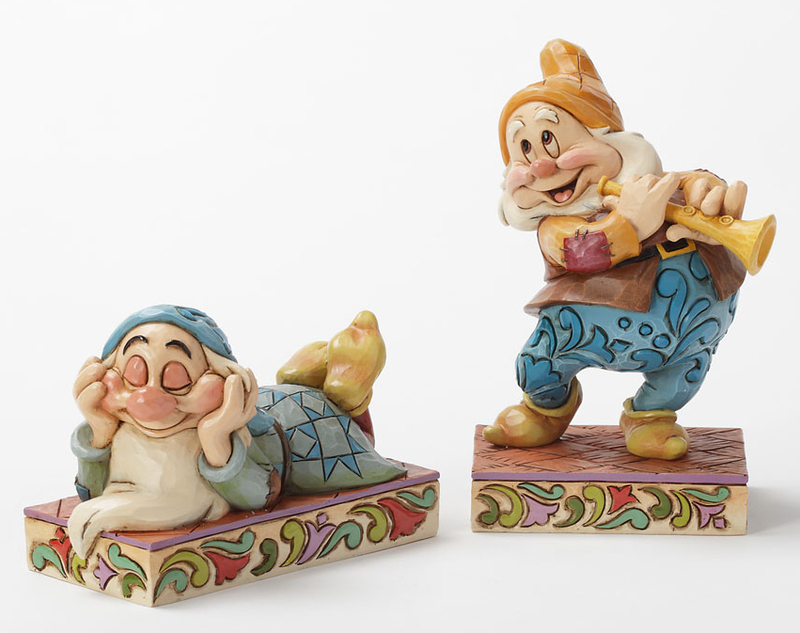 Images from the Filmic Light Collection. 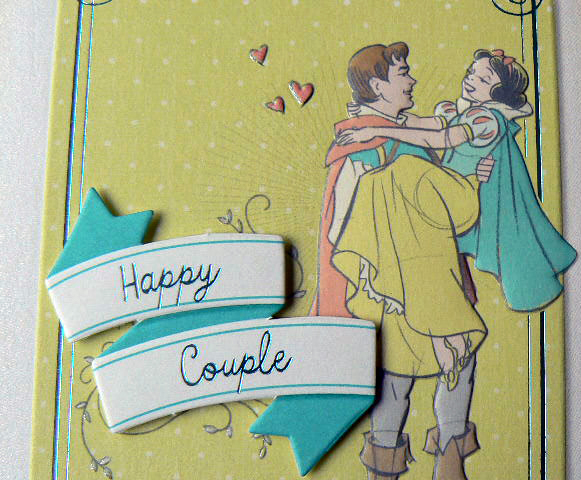 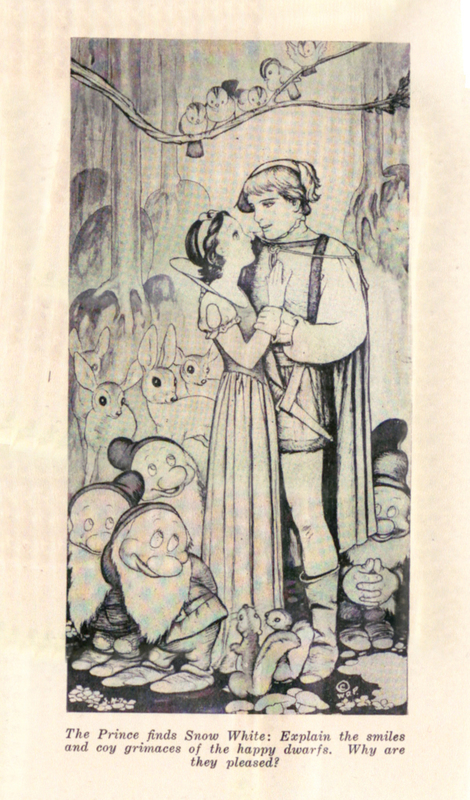 Purchased from a California Hallmark store in February, this Snow White and Prince anniversary card is one of several in a series featuring classic Disney couples. 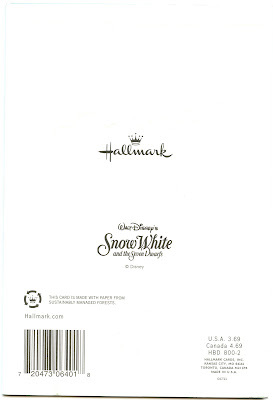 Retail price $3.49. 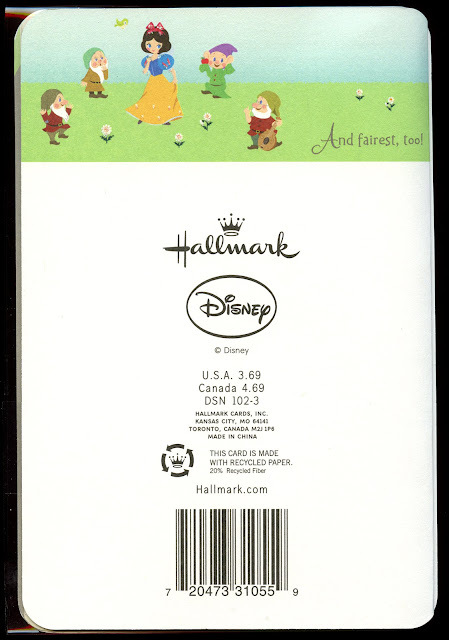 Hallmark anniversary cards were also available featuring Cinderella with Prince Charming, Mickey with Minnie, and Lady and the Tramp. Images and info courtesy of the Elana Sperber Collection. 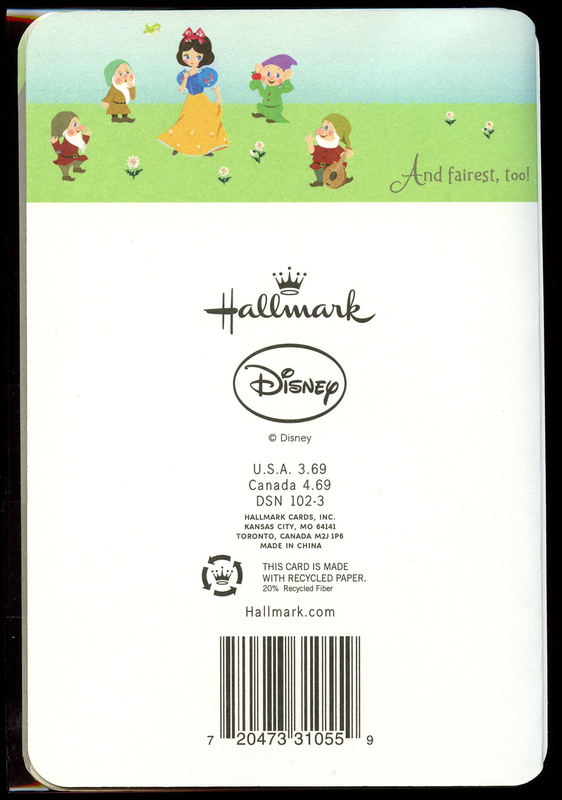 Dwarfs greeting card issued by Hallmark. Purchased at Walgreens, October 2012. Retail $3.69. This small tin dates from circa 2007-09. 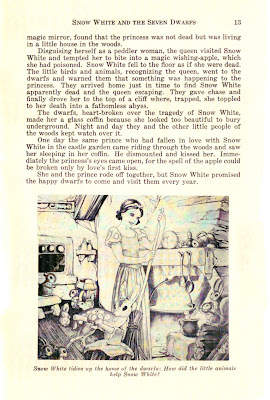 The lid features Snow White on a heart-shaped illustration. 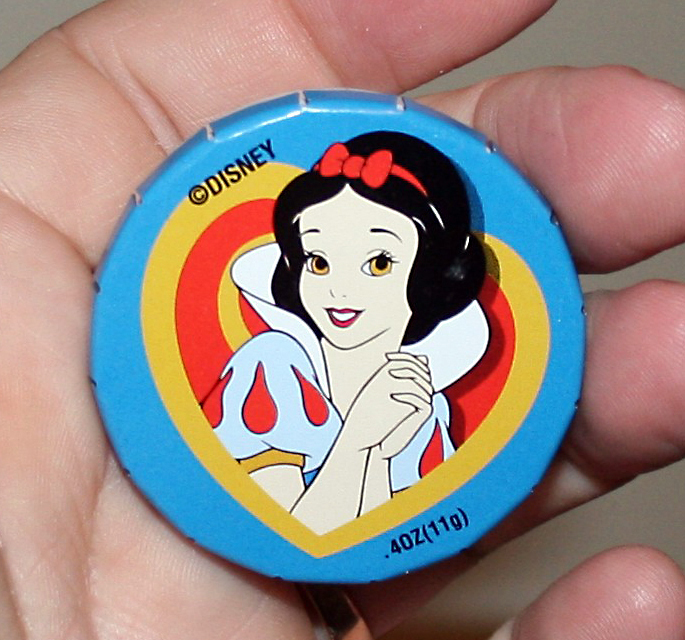 It contained fruit hard candies and was sold exclusively at the theme parks. 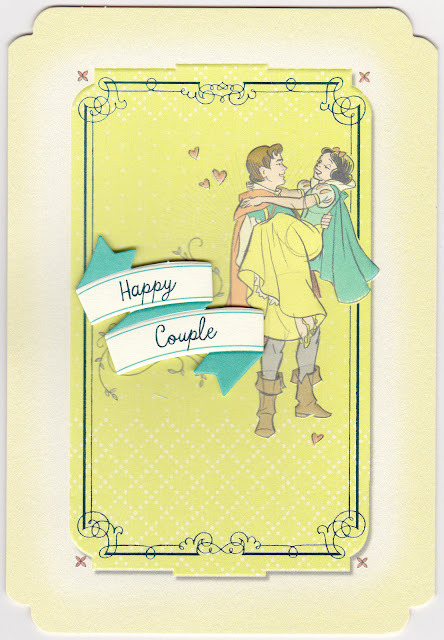 Weight .4oz (11g); Diameter 1.5". Fits in the palm of your hand. 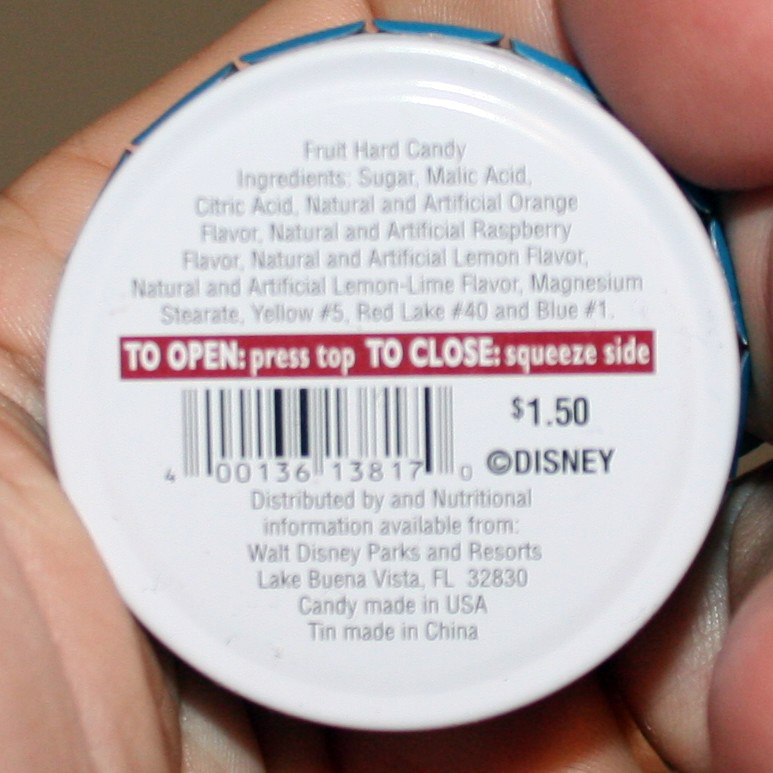 The back reads, "TO OPEN: press top, TO CLOSE: squeeze side." 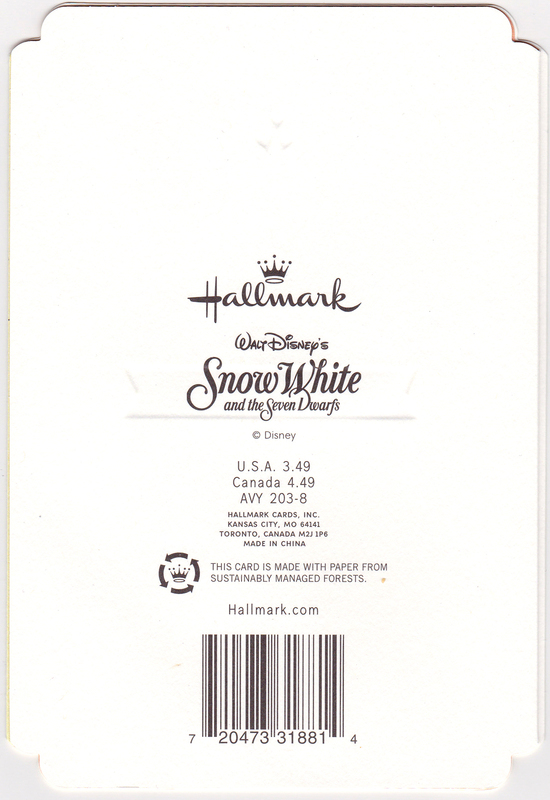 Retail price $1.50. 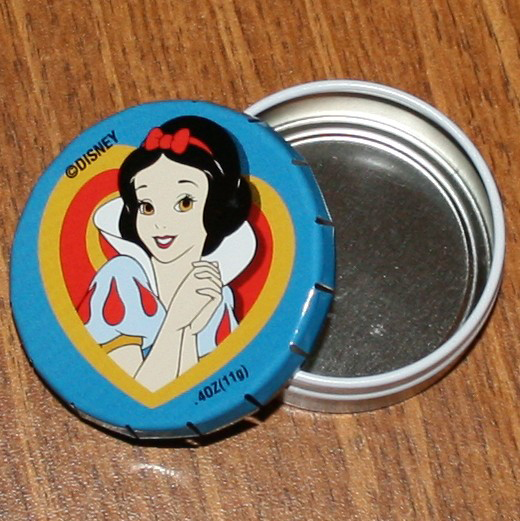 The container was part of a larger series of candy tins, each with a different Disney character on the lid. The collection was huge; here's just a few of them. Images and info courtesy of Dr. Disnology at Disleelandia. 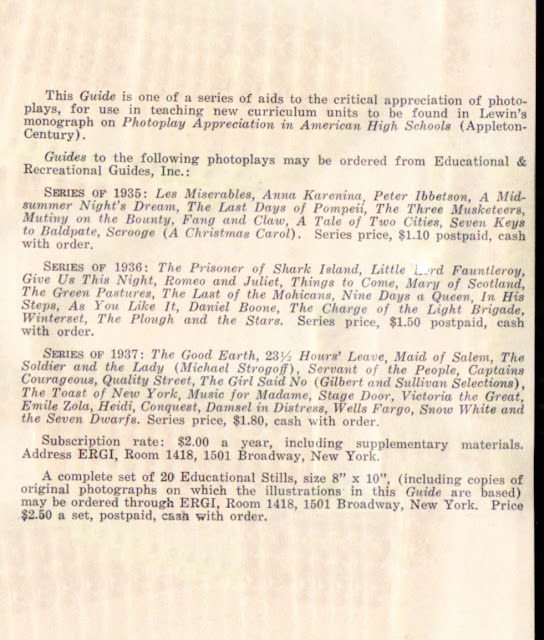 Photoplay Studies was a series of film appreciation booklets produced over 75 years ago for use in English classes at both the elementary and high school level. 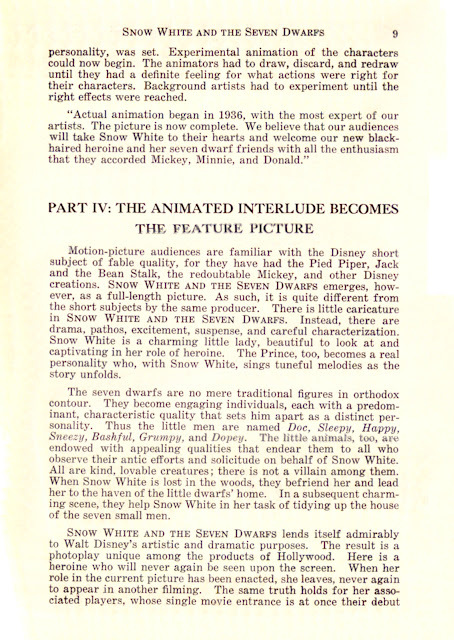 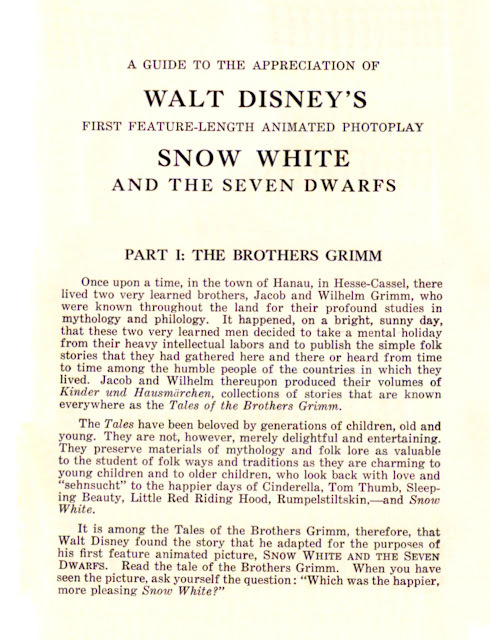 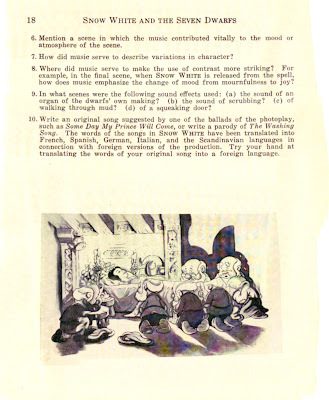 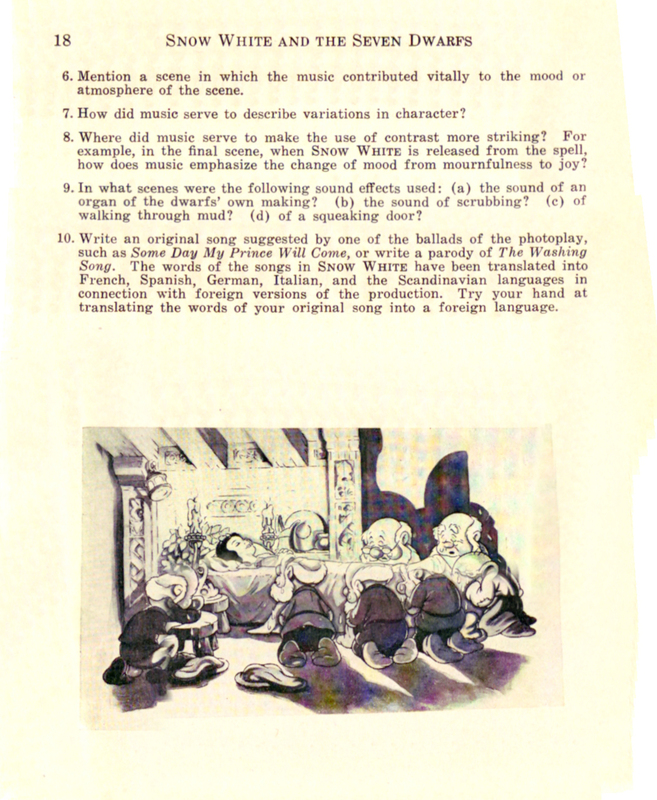 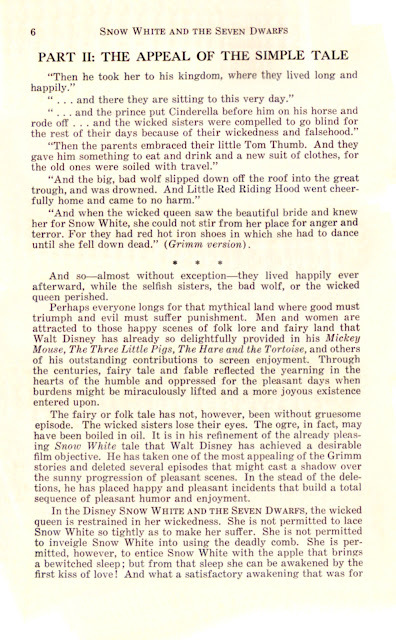 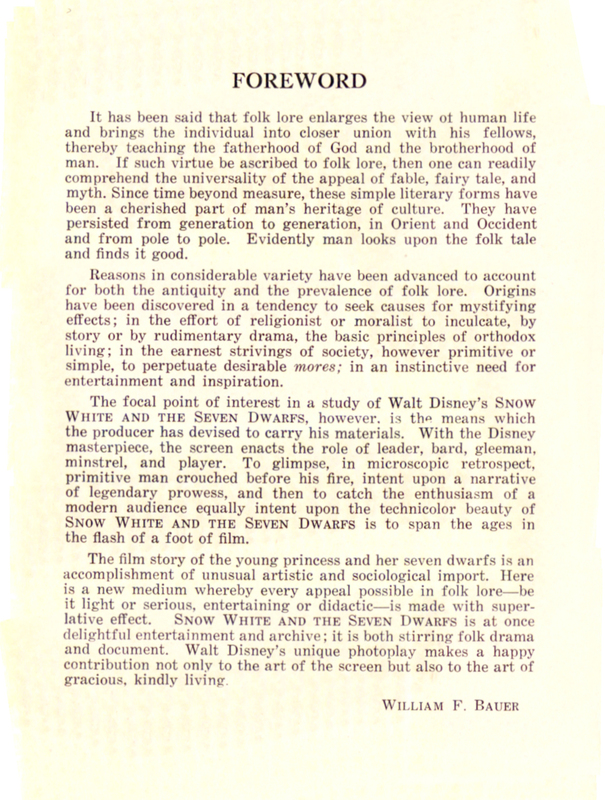 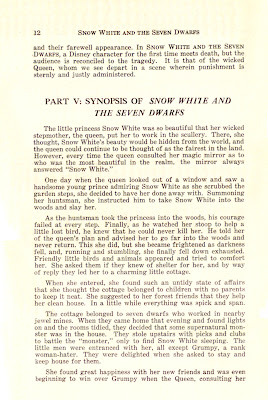 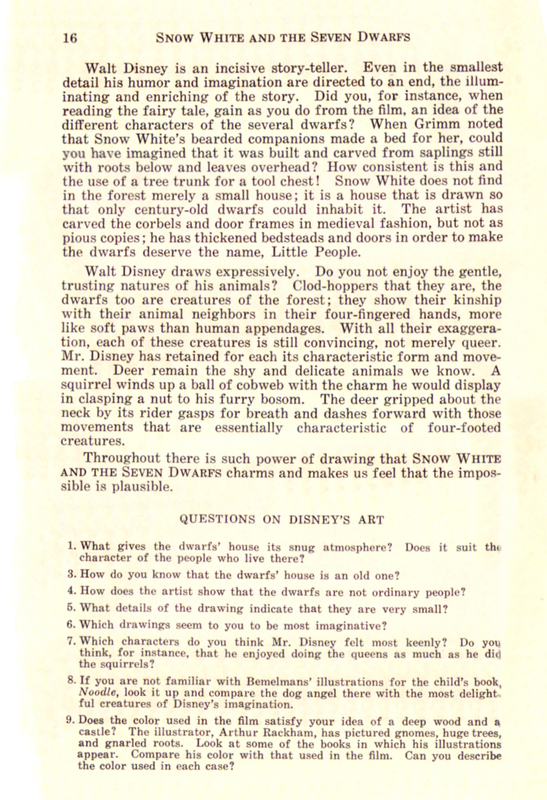 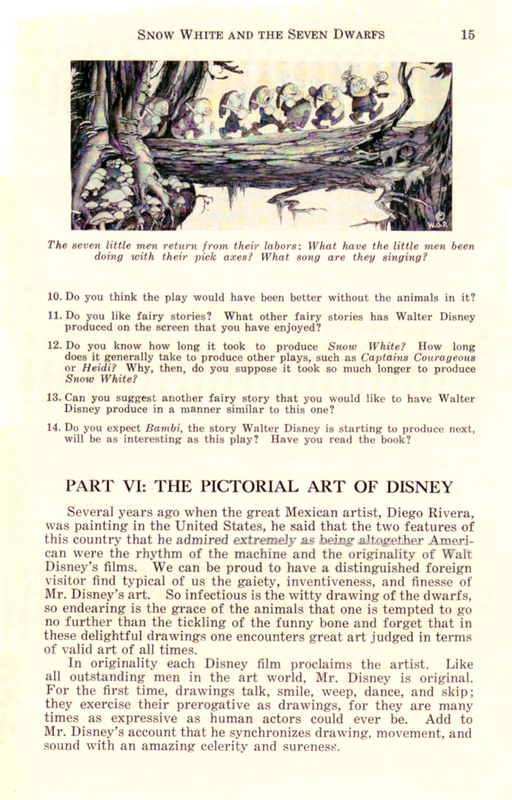 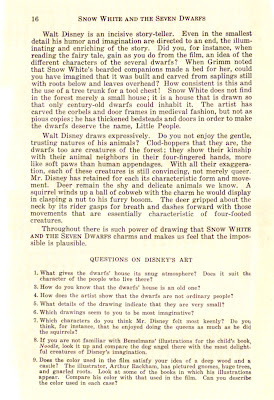 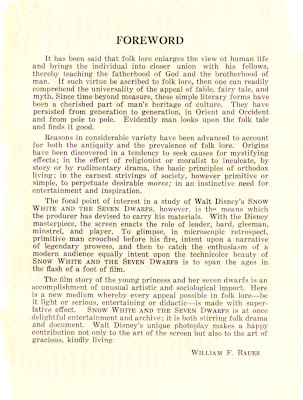 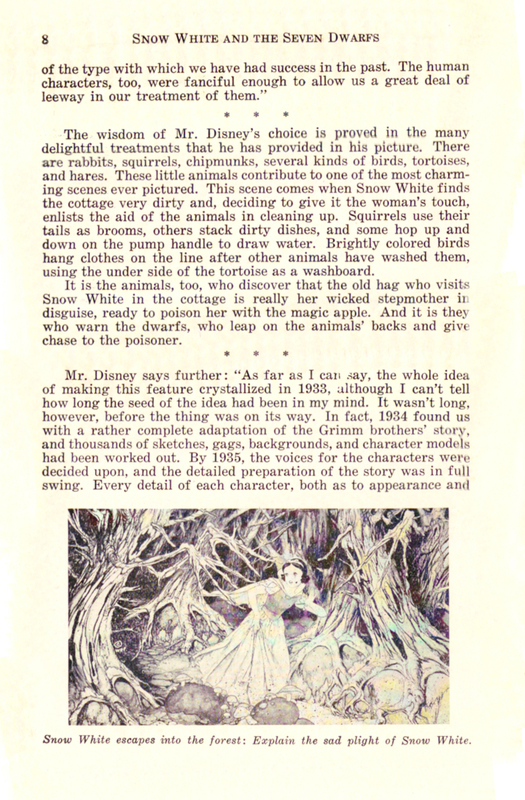 Volume III, Number 10 was devoted to the discussion of Snow White and the Seven Dwarfs and was copyrighted 1937 by Educational and Recreational Guides, Inc.
Why couldn't they have had a class like this when I was in high school? 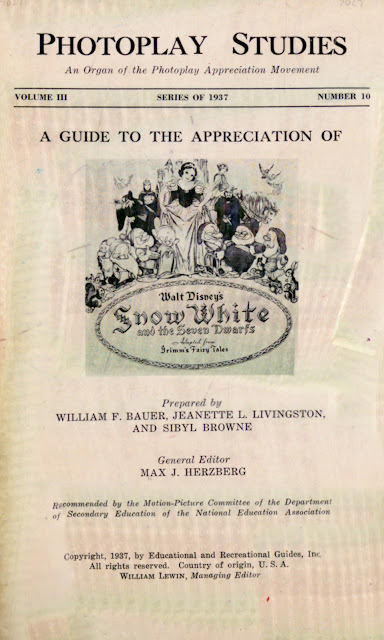 At the time of this publication, the guide series had been available to educators for three years, 1935-37. Part I: The Brothers Grimm. 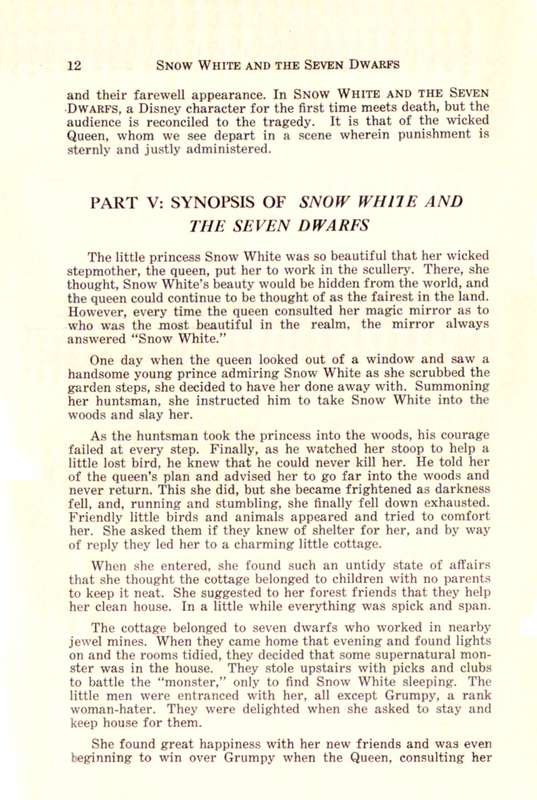 Part II: The Appeal of the Simple Tale. 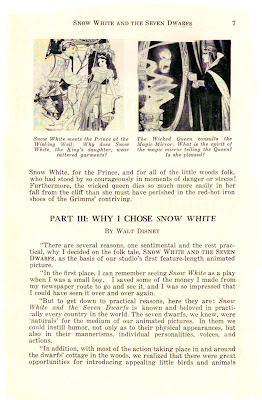 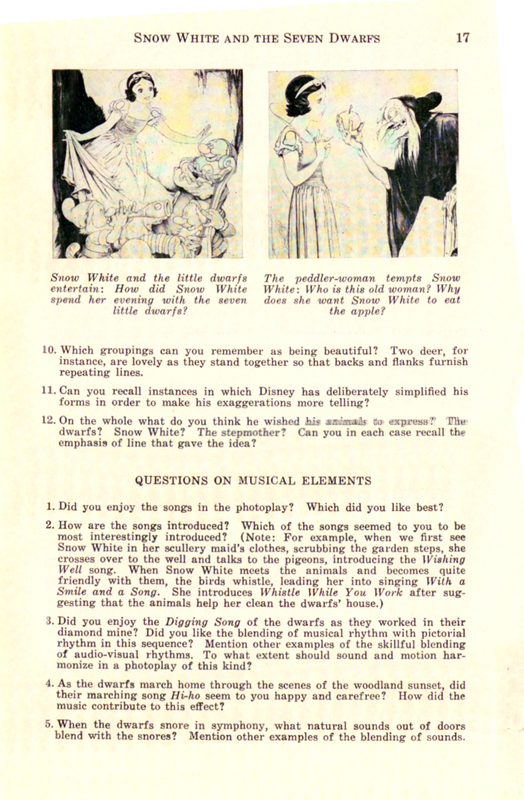 Part III: Why I Chose Snow White (by Walt Disney). 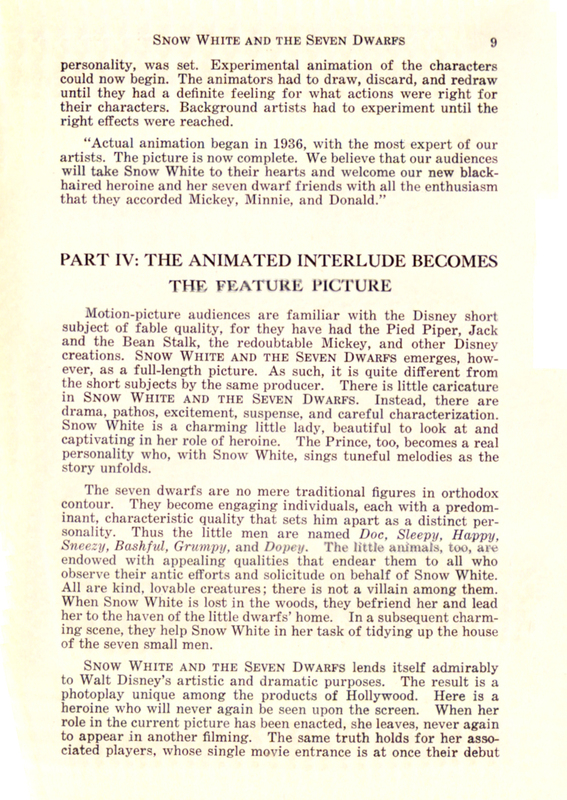 Part IV: The Animated Interlude Becomes the Feature Picture. 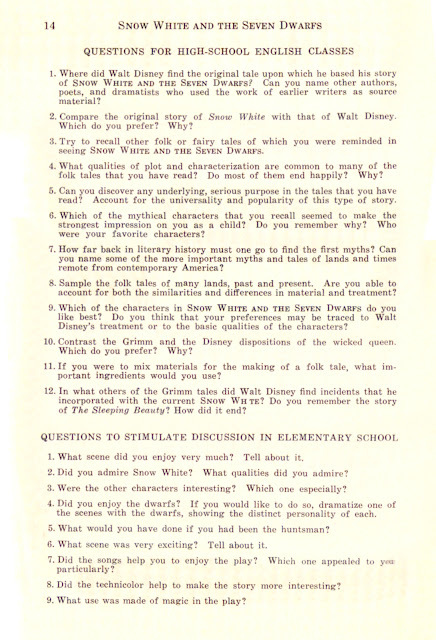 Sample questions for the classroom. Part VI: The Pictorial Art of Disney. 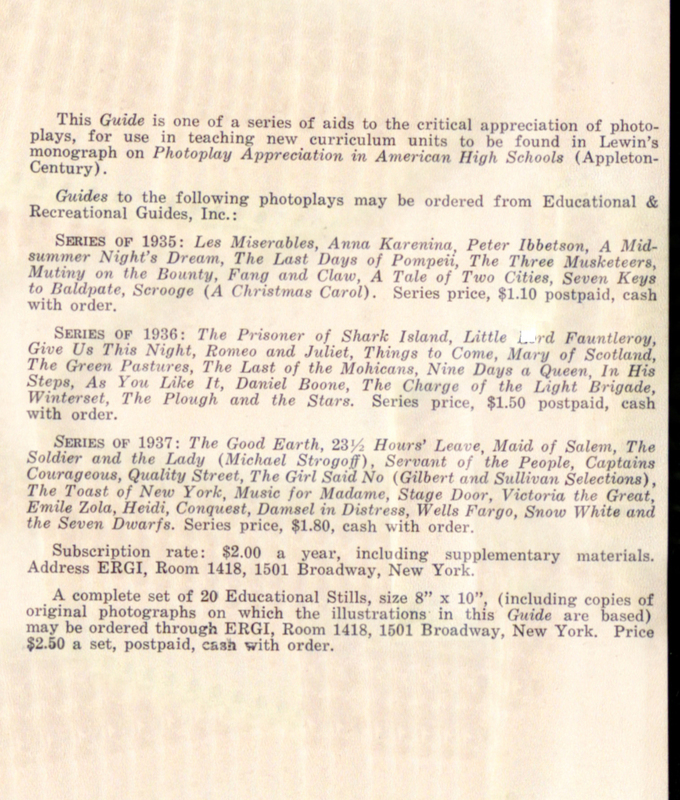 Photoplay Guides order form. 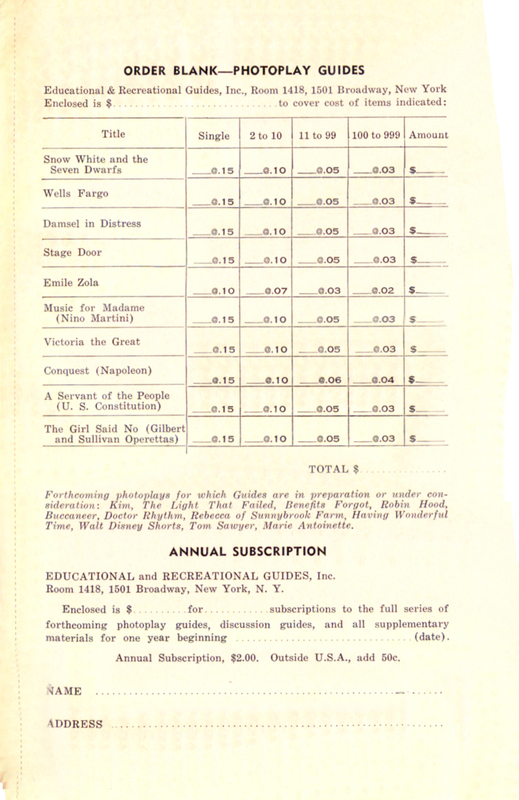 Single copy just 15¢. 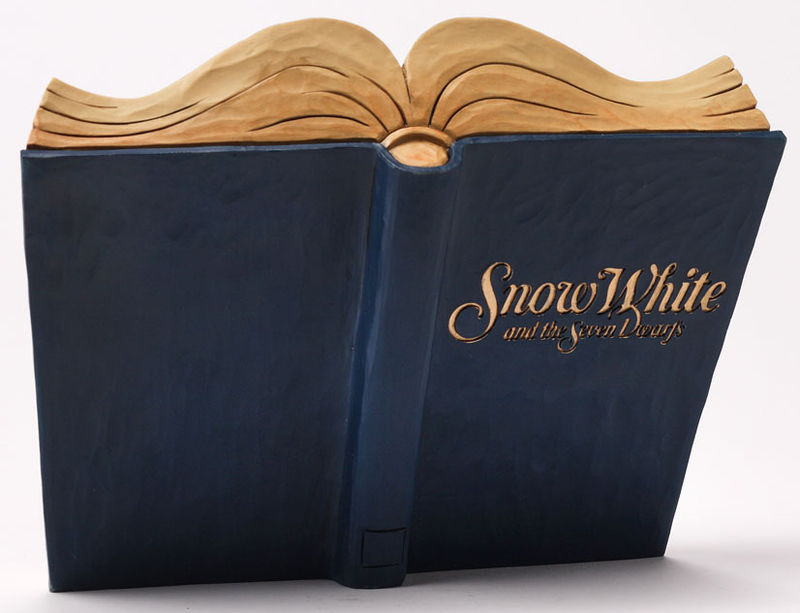 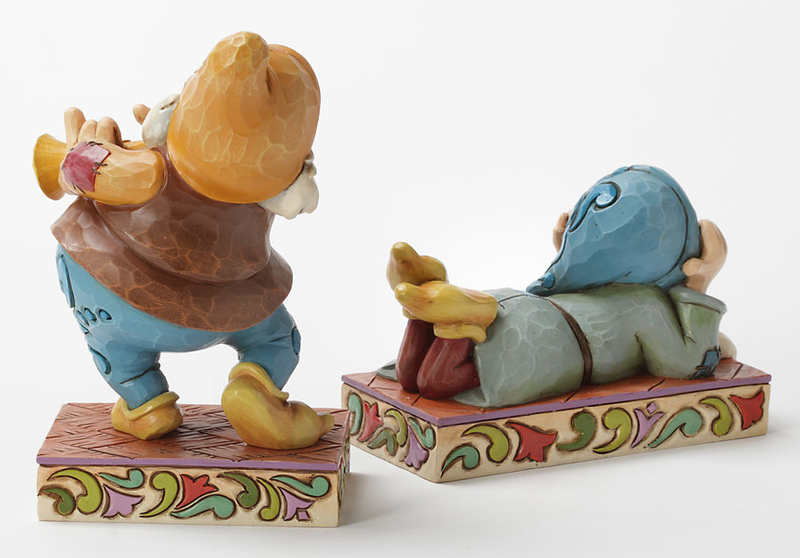 The first Disney Traditions Snow White sculpt to be announced in 2013 is the "Wishing on a Dream" Story Book. It was introduced to retailers in January of this year and orders are expected to ship sometime in July. 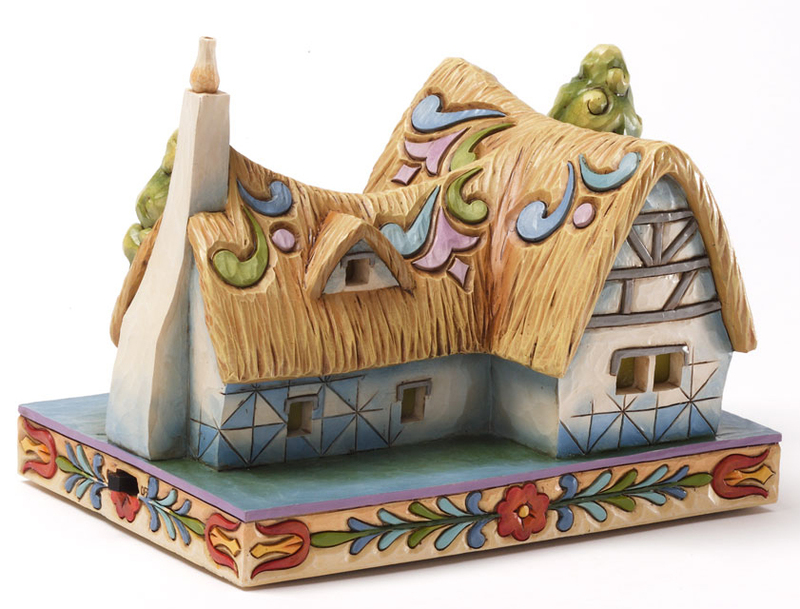 Hand-painted stone resin. 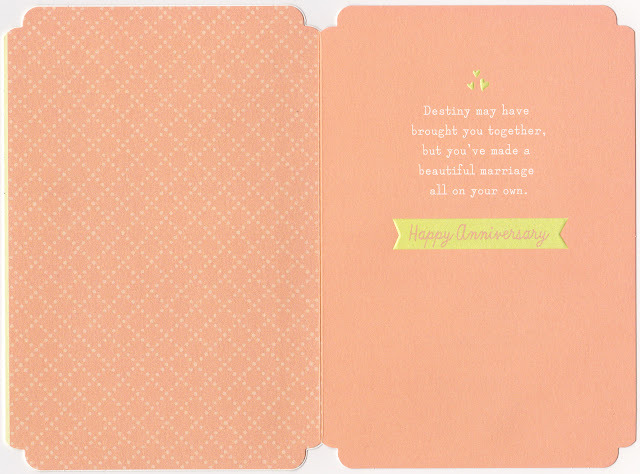 Measures 6.25" high x 8" across and is 4" deep. 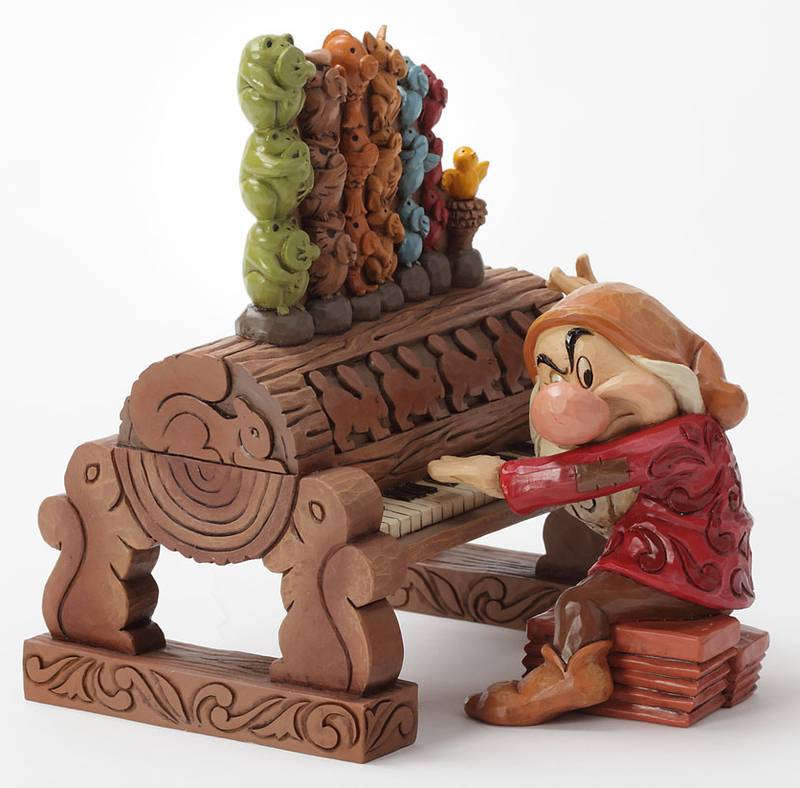 It's pretty cool looking! 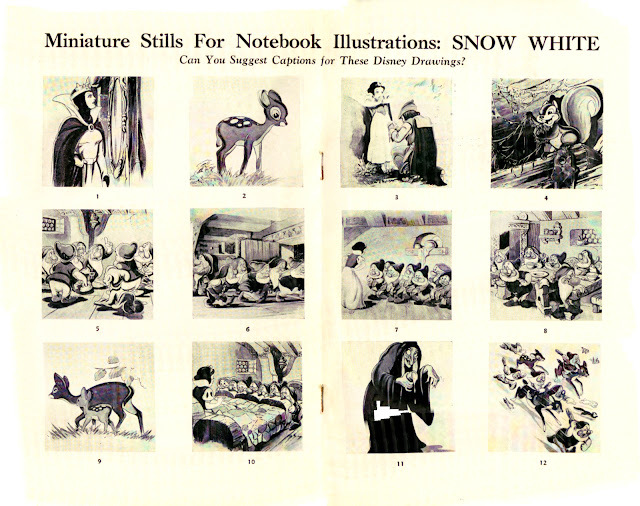 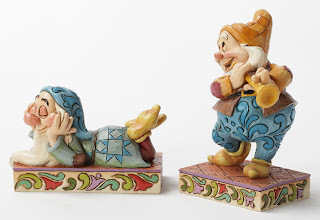 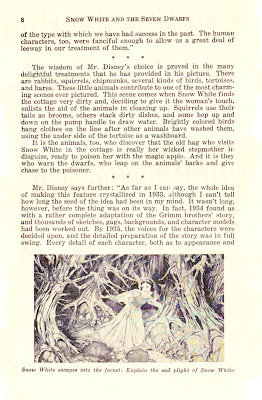 Special thanks to Snow White collector Elana Sperber for the advanced notice on this piece. 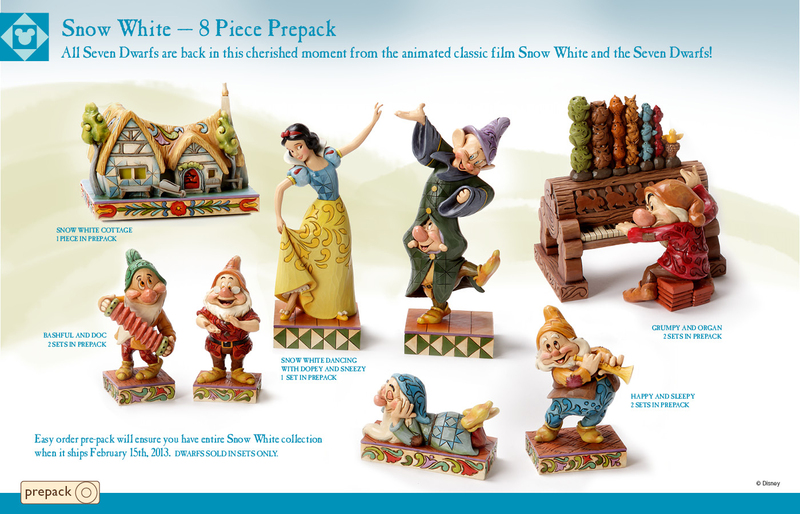 Announced in 2012 (and available from retailers in early 2013) this Disney Traditions series is themed to the "Silly Song" scene. 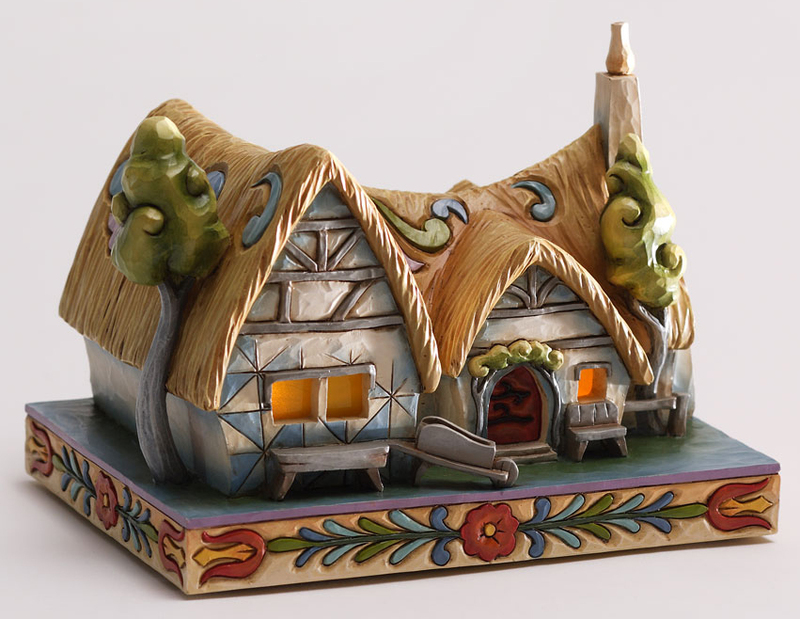 We start with the Seven Dwarfs' home where, of course, the segment occurred in the film. 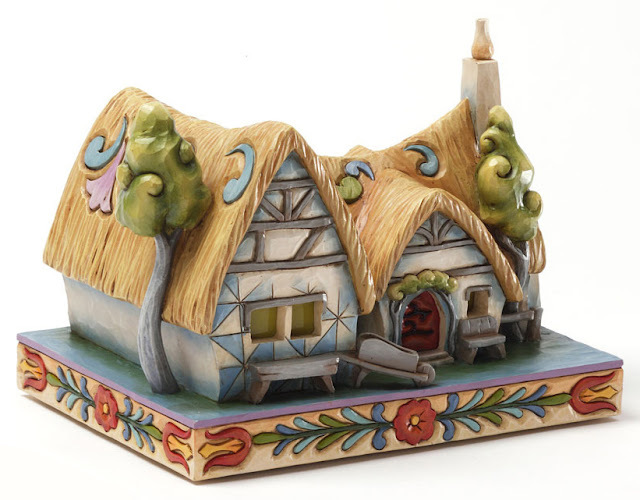 The miniature "Enchanted Cottage" was introduced to retailers last June and measures just 6.375" long x 4.875" high and is 4.5" deep. 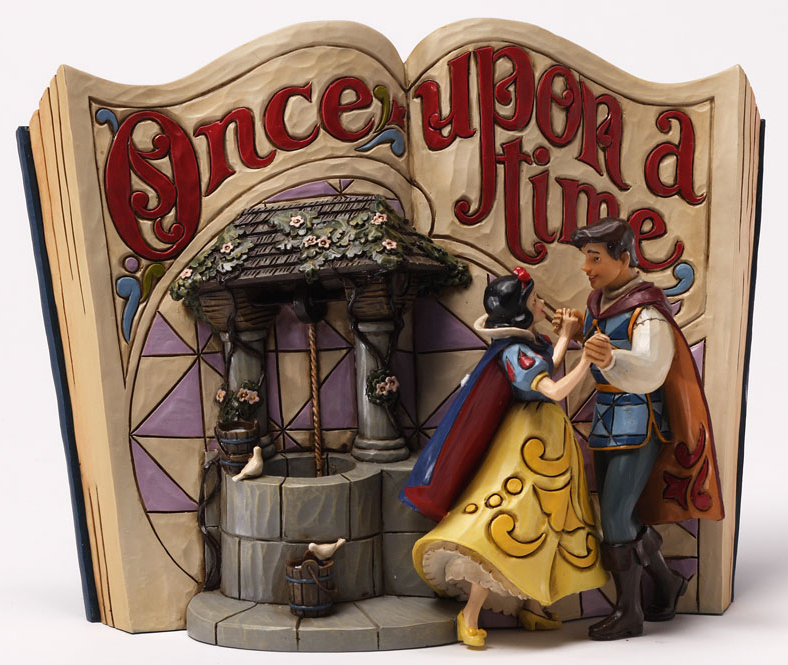 This sculpture lights up with a soft glow when turned on. Suggested retail price $60. 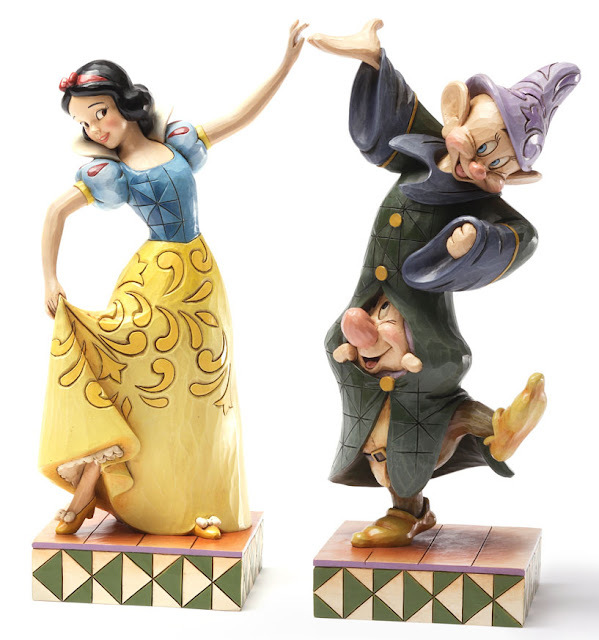 Also intro-ed in June was the 2-piece "Dancing Partners", Snow White with Dopey on Sneezy's shoulders. 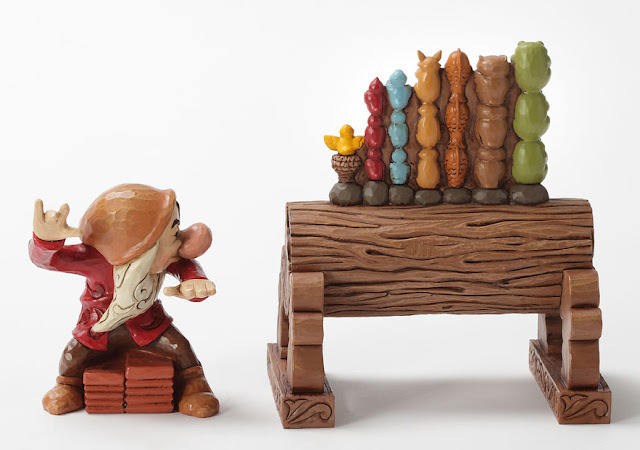 Each figure stands 9" tall. 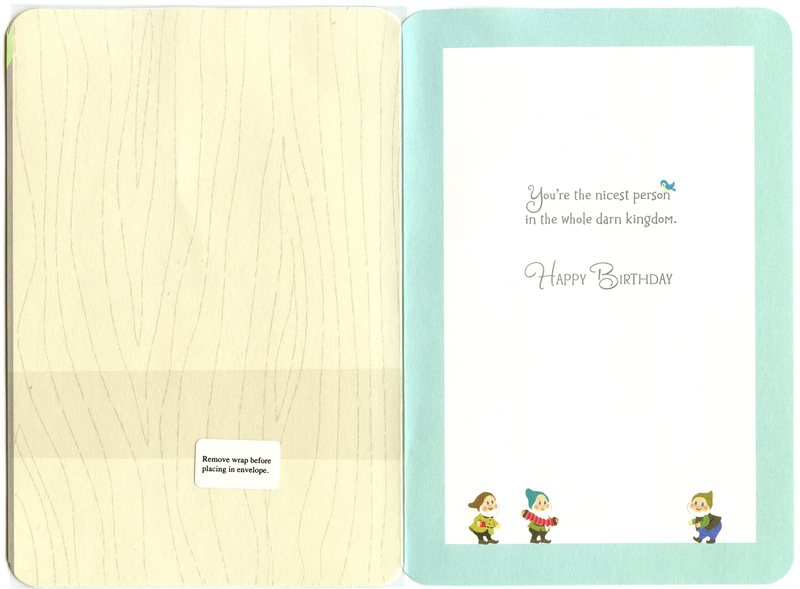 Suggested retail $85. Sold as a set. Then in October, two more sets were announced. 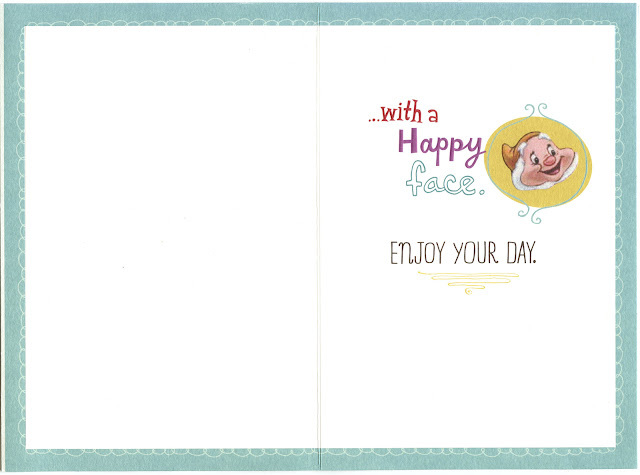 Sleepy and Happy as "Zzzzz Cheerful Note". 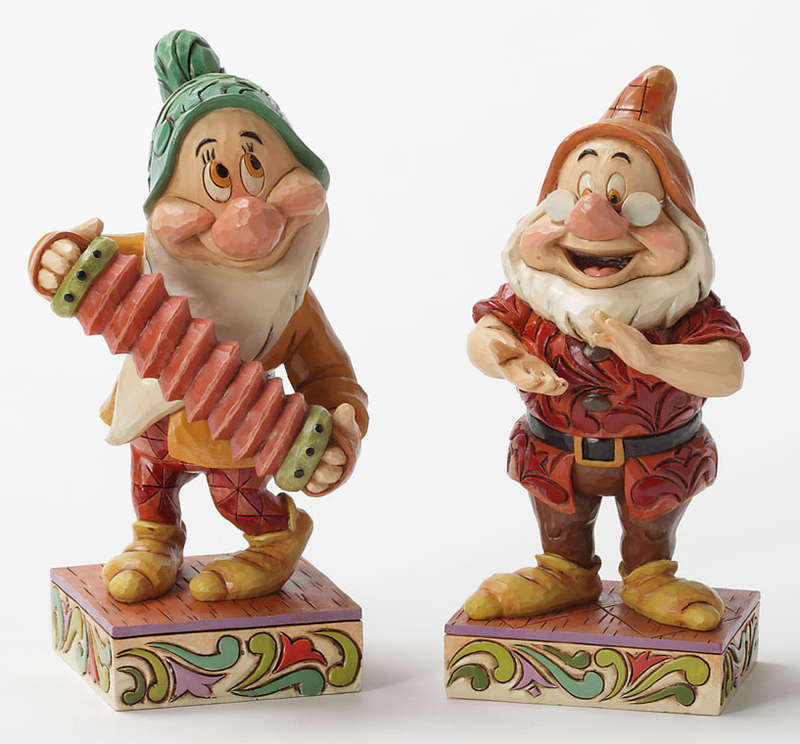 Bashful and Doc as "Affable Accordionist Clap Along". 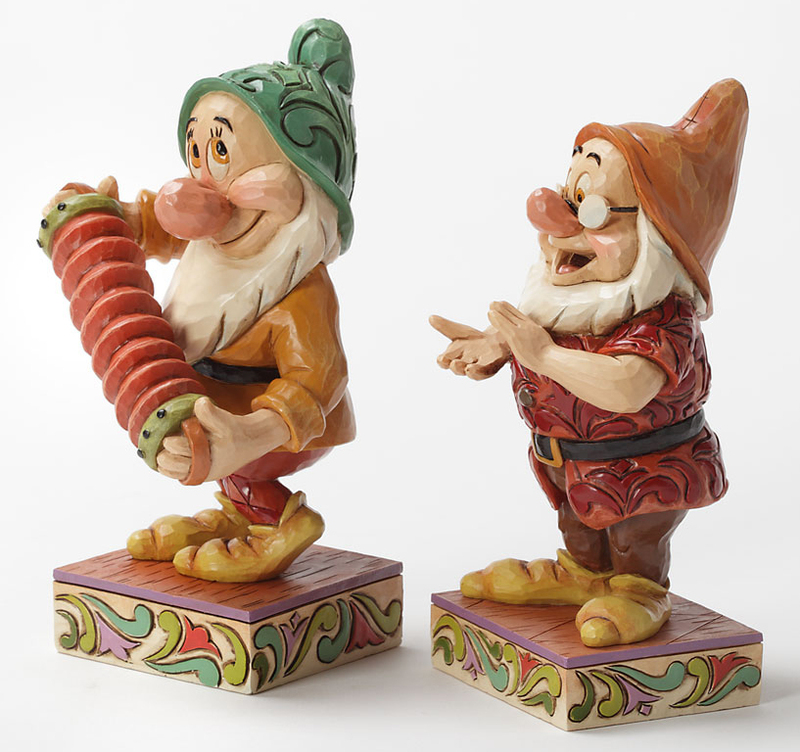 Standing figs are about 4.75" high. 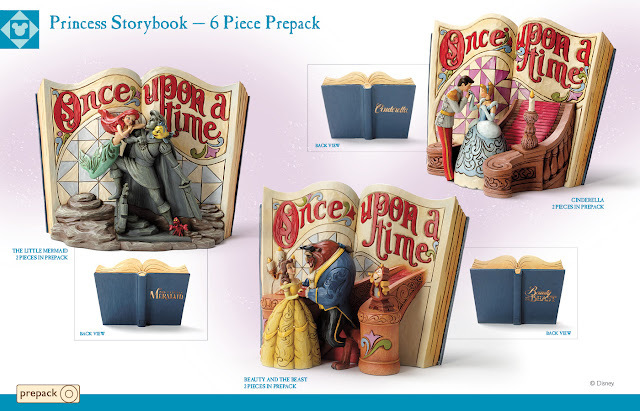 SRP for each set is $45. Enesco Item Nos. 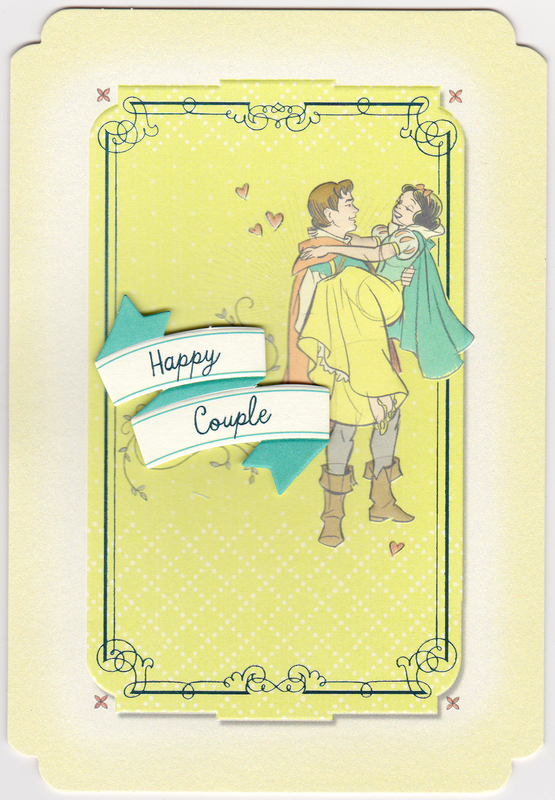 Sleepy/Happy 4032871 + Bashful/Doc 4032873. 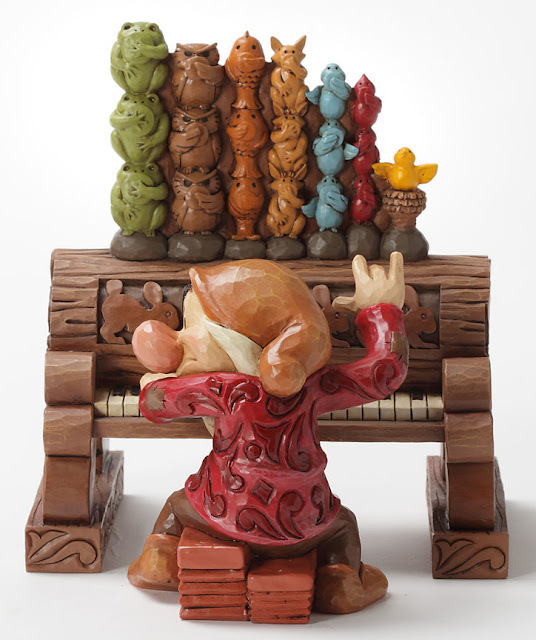 The collection would not be complete without the "Ornery Organist", also from October 2012. Two piece set with Grumpy at his organ. Dimensions: 5.75" tall x 5.125" long and 5.375" deep. 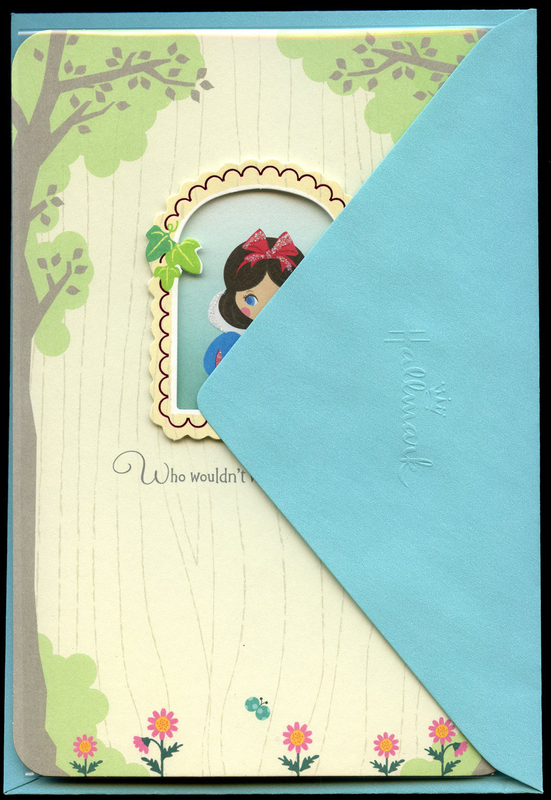 SRP $45. The entire series is available from Enesco to retailers as a "prepack".